Satellite Radio, iPod/MP3 Input, CD Player, Brake Actuated Limited Slip Differential, Smart Device Integration MP3 Player, Onboard Communications System, Keyless Entry, Steering Wheel Controls, Child Safety Locks. EQUIPMENT GROUP 201A Appearance Package, Leather-Wrapped Steering Wheel, Fog Lamps, Wheels: 18" Premium Painted Aluminum, Rear Spoiler, Tires: 18" All Season, TRANSMISSION: 6 SPEED AUTOMATIC W/SELECTSHIFT (STD). Ford SE with Ruby Red Metallic Tinted Clearcoat exterior and Charcoal Black interior features a 4 Cylinder Engine with 181 HP at 6000 RPM*. 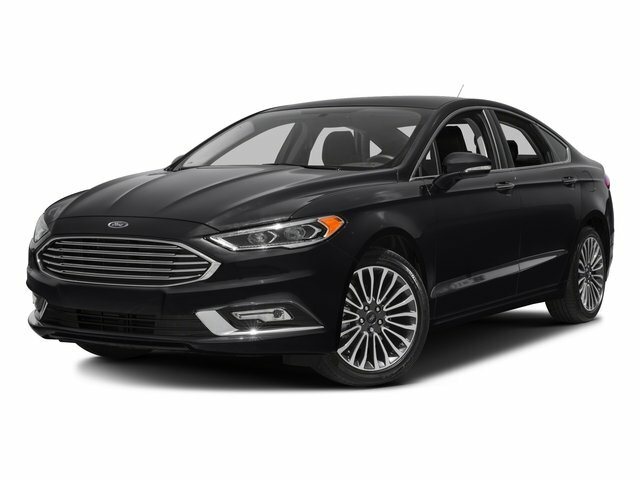 KBB.com's review says "Whether you want a sporty family car with Euro-sharp looks, or just a practical and affordable way to haul around five people, the 2016 Ford Fusion is a hard car to dislike.". Great Gas Mileage: 37 MPG Hwy. Reduced from $13,900. This Fusion is priced $200 below NADA Retail.